In the wake of Betterlife declaring it is no longer selling via its online channel and removing “high ticket” items from its offering, numerous mobility players have shared their thoughts on e-commerce in the mobility sector and why some of the industry’s biggest corporate players have failed to secure continued retail success. 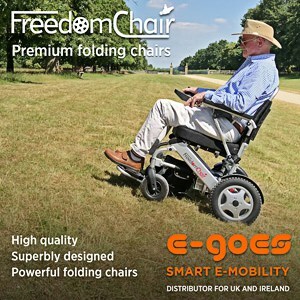 Once one of the mobility industry’s largest e-commerce retail propositions and backed by giant parent company McKesson UK, Betterlife recently made the decision to end its online and telesales operations, along with eliminating big ticket mobility devices such as mobility scooters and powerchairs from its product offering. Speaking to THIIS, Claire Salmons, Corporate Communications & PR Manager for McKesson UK, said: “The independent living aids market has experienced similar issues to the rest of the high street and it has become increasingly difficult to remain competitive, particularly relating to the supply of high-ticket items into customers’ homes. Having only formed in 2014, starting as a purely online proposition before expanding into bricks and mortar with a handful of dedicated stores, Betterlife had enjoyed impressive success via its e-commerce retail channel. In the company’s 2018 annual report however, the company reported operating profits had dropped to just under £10,000, a substantial decrease to the over £1.5million figure it had posted in 2017. The story has similarities to that of the Unlimited Company – a mobility retail proposition by health insurance giant Simplyhealth – which saw a string of aesthetically-pleasing retail stores launched in 2016 and 2017 before abruptly being having its plug pulled towards the end of 2017. Many independent retailers in the industry have often lamented that an online-led approach to the retail of mobility products such as mobility scooters and powerchairs – where price is prioritised over customer service or users’ needs – is an unsustainable model that does not fit the industry. THIIS spoke with Yvonne Malone, Managing Director of H&M Health and Mobility, who highlighted how the small North East mobility retailer had managed to grow in the market over the last seven years despite aggressive price competition. “We do agree it is increasingly difficult to remain competitive in this market due to lower cost online sales. However, we remain competitive because we have the ability to meet and see the customer, whether at our premises or in their own home to assess each individual’s needs, unlike online retailers. Customers appreciate our caring and honest approach and our considerable knowledge of the market,” she said. Her thoughts were echoed by Alastair Gibbs, Managing Director of long-running retailer TPG DisableAids, who noted that as a retailer of “high ticket items”, the company has always taken the view that the physical product only forms a part of what it sells on the open market. “The rest of what we sell is the knowledge, the assessment, the handover, the aftercare, and the long-term service; that all has a value, even if a first-time buyer cannot see that value,” he explained. “It obviously does mean that we will lose some deals to other companies that sell mainly on price. Online business invariably has very little else to offer other than a keen price, but there always seems to be someone who is prepared to go a little lower just to close the deal. “In our opinion, this method of selling, in this market place, was always going to be a limited time offering unless the meagre profits were ploughed back in to create the infrastructure required to deliver on customer expectations. Sharing similar thoughts, Angus Long, Managing Director of specialist mobility marketing company Impression Marketing, told THIIS that the news that Betterlife had ceased its e-commerce operations would likely be welcomed by many independent mobility retailers across the UK. “For some years, it has been widely acknowledged and promoted that there needed to be a greater investment, funded privately and publicly, into the supply of homecare. Naturally, a number of commercial enterprises, such as LloydsPharmacy and SimplyHealth, saw this as a lucrative new venture and entered the market place in a big way,” explained Angus. Noting that homecare products are inherently different to other products found on the high street and supermarket, labelling them “distress purchases”, Angus stressed that the low-price strategy helped secure “homecare supermarkets” achieve decent sales volume, with consumers keen to buy at the lowest price. “However, in many cases, elderly consumers, after initially buying the lower cost “star buy” of the day, ended up having to get something more suitable further down the line. Ultimately, this made the purchase of their homecare more expensive than it could have been had they initially used a specialist homecare supplier such as Your Mobility, Dolphin Yorkshire and H&M Health & Mobility; retailers that go to great lengths to ensure customers are sold the most appropriate product for their needs, budgets and circumstances, as opposed to the most profitable for their bottom line. Which is as it should be,” argued Angus. As the industry’s largest mobility retailer, with 34 bricks and mortar retail stores across its network and set to launch in Christchurch this May – THIIS spoke Ableworld’s Managing Director and Founder Mike Williams to get his thoughts on Betterlife’s evaluation of the mobility market as one becoming increasingly difficult to remain competitive in, particularly when supplying high ticket items. According to the national retailer, it has purposely taken the decision not to sell larger ticket items online over its almost two decades of trading as part of its ethical trading commitment. “We have no doubt that we can regularly lose out to ‘irresponsible’ competitors who have no concerns selling over the internet or without a thorough assessment and it would be easy to give in, but for us, it’s about having an ethical, professional, long-term approach – not about making as much money as quickly as possible. We believe this attitude to trading also puts us in good stead with the professionals,” he told THIIS. In particular, Mike stressed that Ableworld’s ‘Click and Collect’ sales are at the highest they have been, whilst in March, the company announced it had achieved impressive year-on-year growth across the majority of its stores. “It proves that customers are happy to commit to coming into their nearest store and shopping for what they need with the guidance of our well trained and friendly store staff,” he continued. Considering what the departure of Betterlife selling larger ticket mobility products online means for the industry going forwards, Alastair finished: “With Betterlife following Simplyhealth and pulling out of this marketplace, it may well be an indication that this chapter in the disability equipment market is coming to a close. New innovation, new customer care, and a readjustment of where the real value of product lies may be the way forward. “As I have indicated many times before in articles in THIIS magazine, we must enhance the value of everything we sell. We must differentiate from high volume box movers in some way that allows the customers to see and appreciate that value.